Gummi FKT is manufactured for applications where extra heavy loads and the most extreme working conditions are encountered. It is well suited for applications with the most demanding equipment where severe clutching and braking is required.  Industrial Clutch Parts Ltd. distribute the Gummi FKT element to a variety of power transmission applications. The Gummi FKT Air Clutch and Drum Brake is designed primarily for high torque and high thermal capacity on heavy duty applications. It is the workhorse of drum clutches and its capacity to withstand high starting loads and sustained slippages differentiates itself from conventional clutches. Available 30 sizes, in single, dual, wide, dual-wide, and split configurations. The FKT superior design and construction provides outstanding efficiency, a long operating life and minimal maintenance. Similarly to Gummi FK type, the FKT element offers the versatility. An integrated neoprene tube, reinforced with various ply of cords, is vulcanized to the inside of a steel rim. A set of highly ventilated friction shoes generates greater volumes of air flow across the length of the shoe, which reduces heat and ultimately extends the operating life of the actuator tube and clutch element. When the tube is pressurised, the friction shoes are forced to engage around the drum. The rubber nylon cord-reinforced air tube forces the element’s friction shoe assemblies against the outer edge of the drum. It has been manufactured to promote air flow across units for rapid heat dissipation and transmit torque through its sidewalls, absorbing shock loads and vibration to protect the drive components from the transmission. In addition, every single component is replaceable so the FKT can be completely rebuilt.